Wheelchairs are a huge boon to your loved one’s mobility, particularly if they’re not been able to walk on their own for a while. Whether manual or motorized, it’s important to understand how to make the experience the best it can be for your loved one. Your loved one’s doctor can help make sure that your loved one gets a chair that is the right size, but once it arrives, it still needs some adjustments. Make sure that the footrests are at the right angle and height. Your loved one’s knees should be bent at 90 degrees for the best fit. If your loved one doesn’t look comfortable or something feels off, see if your loved one’s doctor can help to spot the problem. 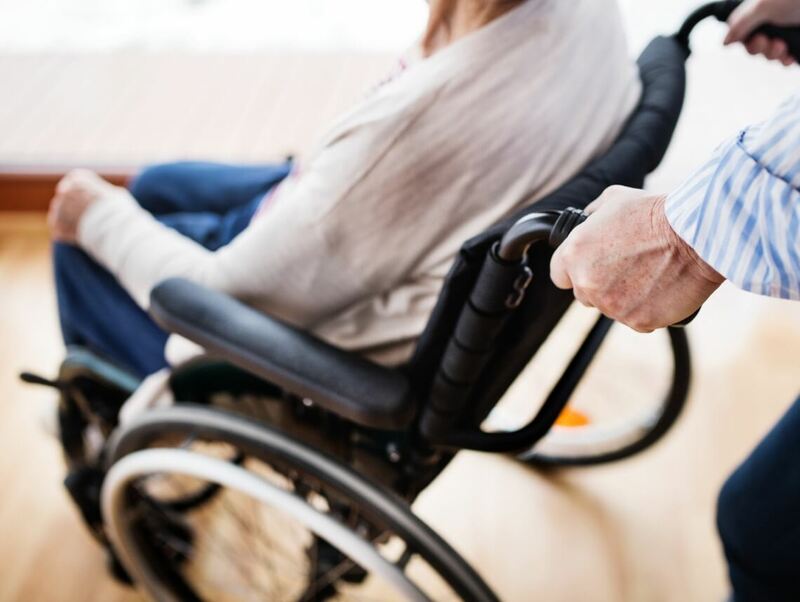 If your loved one will be using a wheelchair long term, you may want to try using pads and cushions to make the seat more comfortable for them. In a pinch, rolled up towels or washcloths can be used in place of pads and cushions, but you’ll probably want to find a more permanent option. Pads and cushions can also help to keep your loved one in place if they tend to feel that they’re moving around too much in the chair. When you’re helping your loved one to transfer into or out of the chair, it pays to go through a safety checklist. Make sure that the brakes on the chair are locked and then move the footrests out of the way. Don’t try to transfer if the chair isn’t on a flat surface because that can throw both you and your loved one off balance, making the transfer even more difficult. Help your loved one to put their feet at least shoulder width apart and then put your arm around them. If you’re facing your loved one, put both arms around them. Gently help to lift your loved one out of the wheelchair or off the bed or chair so that you can help them into the chair. When you have them in place, set them down gently instead of just letting go. This helps to ensure that you help them sit in the right position for them. You can always ask your loved one’s elderly care providers to show you more tips and tricks for using a wheelchair, too.